1. Soak the black rice in water and cover for at least 2 hours. Add the white glutinous rice for the last 30 minutes, leaving it in the same water. Do not throw out the water the rice has been soaking in. 2. Transfer to a large saucepan and add extra water so that it covers the rice by 10cm (a rice cooker is not suitable). 3. Boil the rice with the pandan leaf and cinnamon stick until most of the water has evaporated and it is soft enough to eat. Stir in the palm sugar and a pinch of sea salt. Simmer over low heat until the sugar has dissolved and the mixture is thick and glossy. Remove the cinnamon stick and check the sweetness. To serve: Spoon the pudding into bowls and top with coconut milk, fruit and ice cream. 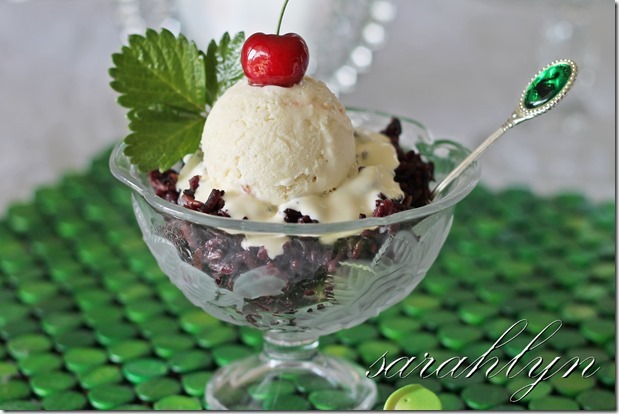 Bubur Injin ~ Black Rice Pudding ~ I learned this recipe when I visited Bali. This famous pudding is mainly eaten as an afternoon or evening snack. It’s great with ice cram.